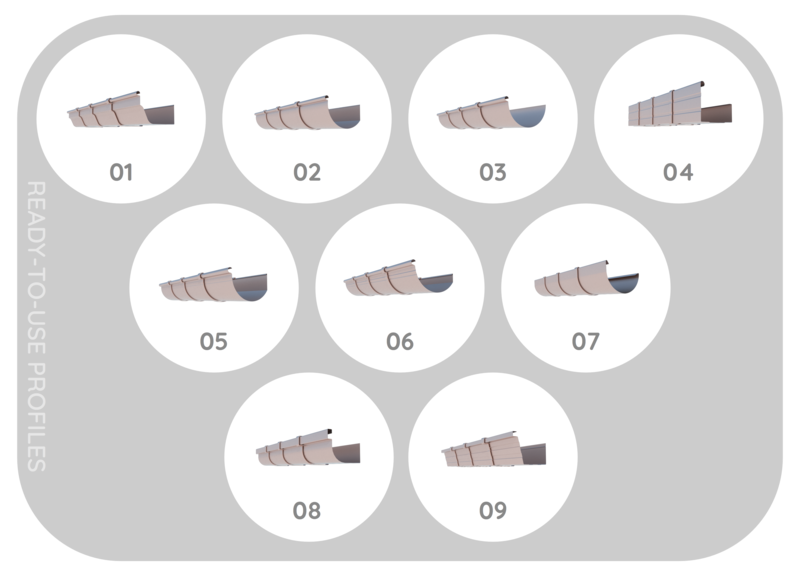 This plug-in allows to create detailed and easy-to-modify gutters in a few clicks. You can purchase a license in the store. To add downspouts, you can download my free plugin from the main page.